It's not possible to look anything other than alluring in this crochet-lace sheath styled to highlight your arms, waist and legs with eye-catching openwork. 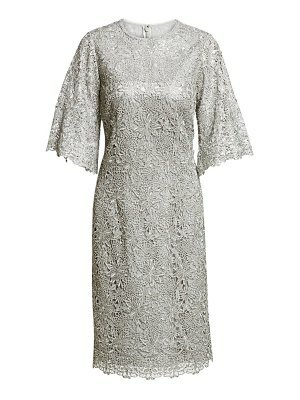 Style Name: Chi Chi London Adita Crochet Lace Cocktail Dress. Style Number: 5696105. Available in stores.